Made with Buttermilk, believe it or not! The thick, dense, creamy mass in the bowl is Quark. And what is quark, exactly? 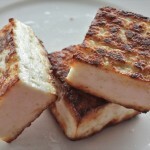 Certainly, it is a dairy product, but it is not a cheese and it is not a yogurt – technically. 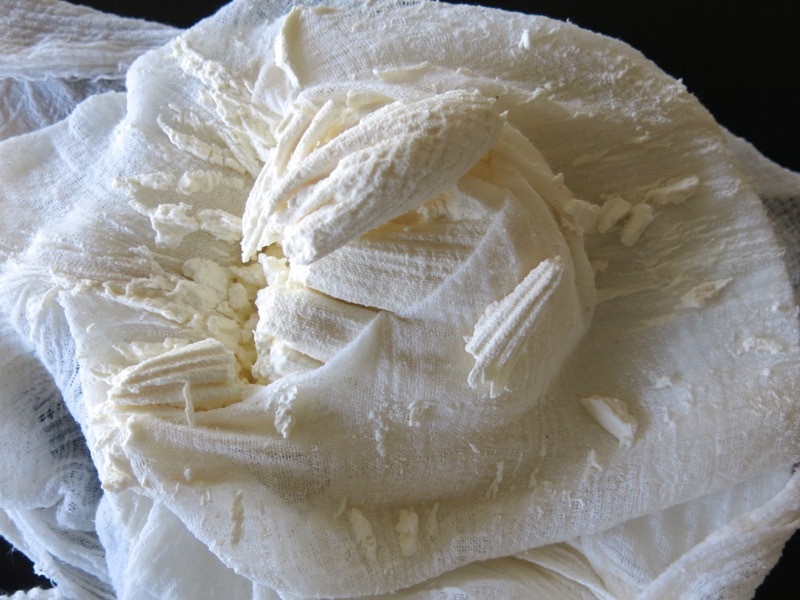 Most recognize it as a fresh cheese. However, it doesn’t use any rennet or require any starter. Thus, not a cheese or a yogurt. 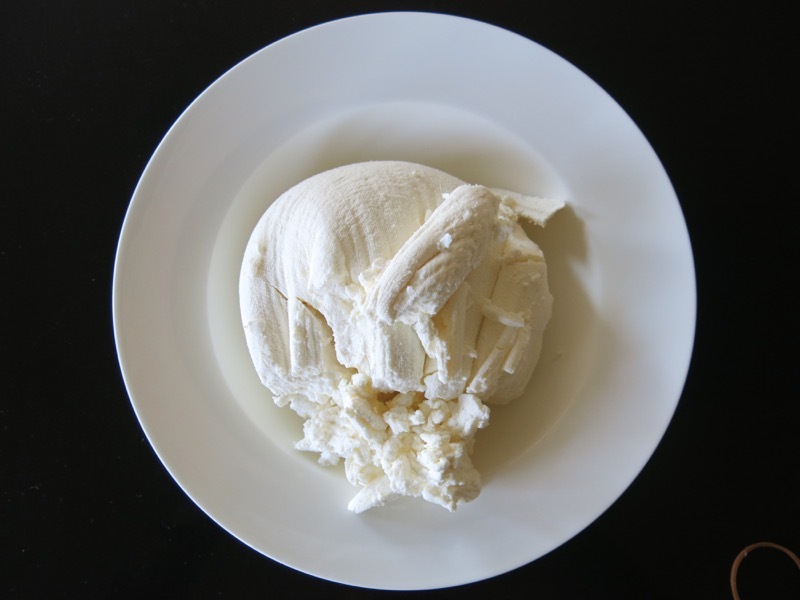 It tastes like a cross between cream cheese and yogurt cheese: it is a little sweet, a little tangy and very thick and smooth on the palate. All that from buttermilk! So, why quark? Matthias’s incredible Quark Cheese Cake or “Käsekuchen Mit Quark”. Yup. Not like a cheese cake, but like a cheese cake. Not sweet at all, but a dessert. A piece of unadorned quark cake is not decadent, but it is delicious. As satisfying as a healthy snack, unadorned, and dressed up with preserves, as above, certainly ready for a party and much more fancy. Dress it up or leave it plain – either way, Quark Cake is my new favourite treat. Quark is a nutritional goldmine! Made with buttermilk (Vital Greens is my preference), as I have made it, it is very low in fat (less than 0.1g in 100g Quark). It is 1/5th the calories of full fat cream cheese. Eventhough no salt is added, trace amounts of salt remain from the milk itself. And the grand drum roll: quark contains twice the protein content as low fat yogurt! Who can argue with those facts? Buttermilk used to be the milk left behind after making butter, but today it is a completely different beast. What I have bought, and what we all buy now, is cultured buttermilk. (Thank you, Deb!) In the dairy farming days of yore, housewives waited to collect a large amount of cream on top of the milk to make a good amount of butter. As the milk and cream needed time to sit and separate, bacteria would enter into the mix naturally and the milk would sour. After the churning, “Traditional Buttermilk” remained, but it is not the same as what we can buy these days. 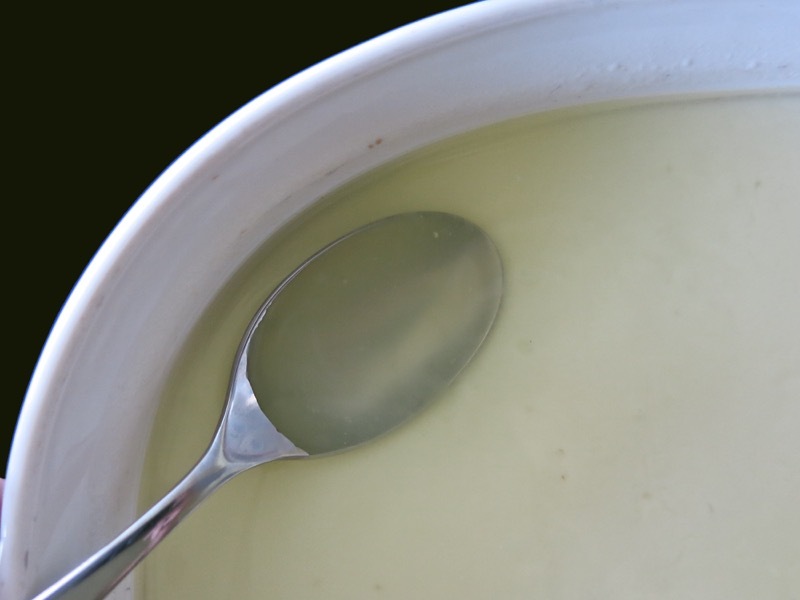 Naturally-occurring sour milk, or “Traditional Buttermilk”, become increasingly rare in the late 1800’s and early 1900’s due to immigration, urbanization and modern refrigeration. Therefore, commercial dairies, spotting an unfilled niche, began to culture it sold this completely different product as buttermilk in the early 1920s. 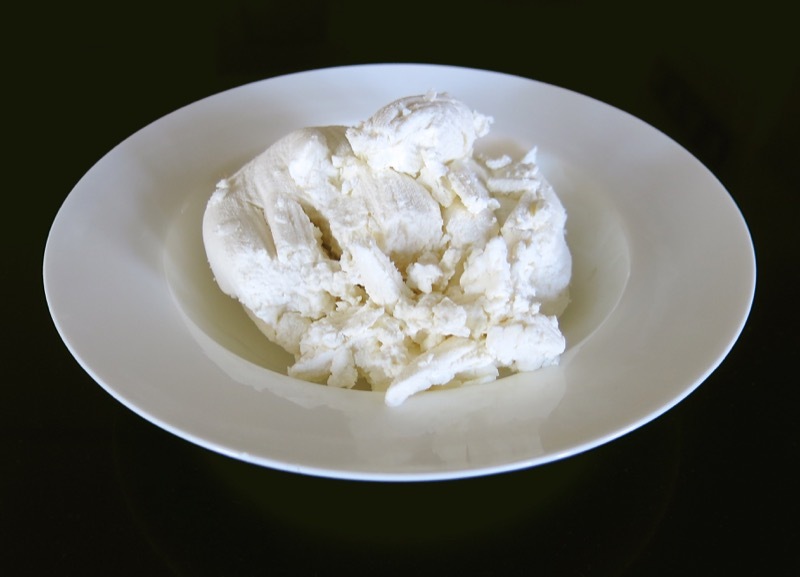 Quark is made with only cultured buttermilk, or sour milk, over time with varied temperature and mesophilic culture. As Deb said in the comments below, this cultured buttermilk includes that mesophilic culture and creates an incredibly lovely quark. I find it simply amazing that those before have created such delicious recipes from what appears to be almost nothing. 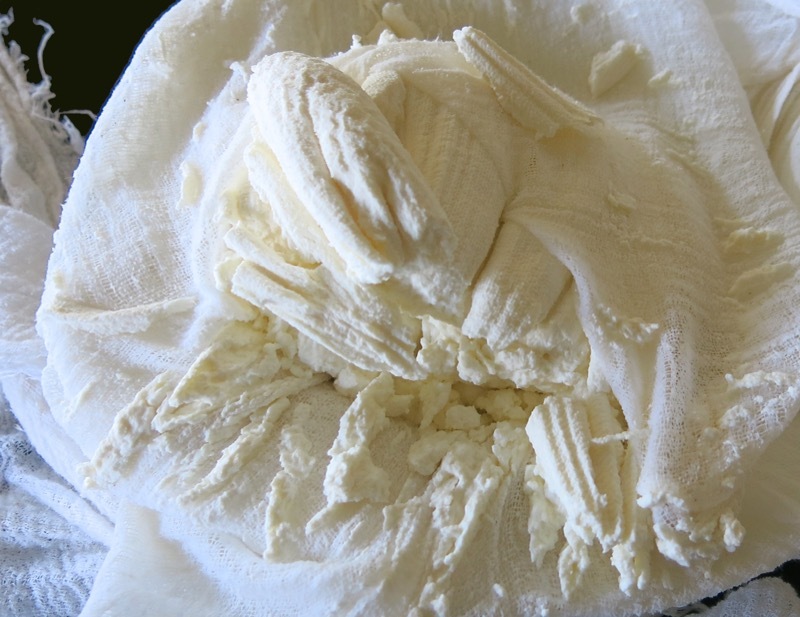 So many ways to use scrumptious buttermilk were touted in 1845 when the first baking soda was manufactured creating an increased need for it, and now, by accident, a way to distill the essence from what used to be “milk waste” can be used to make cheese only because it is a completely different cultured product. Above, 2 litres of buttermilk in an oven proof dish. Below, after 2 hours in the oven at 175F , then an overnight rest in the oven: quark curd. The solid mass is evident, below as I push on it with my spoon to reveal the whey. A sense of the thickness of the mass can be seen in the images below. Below, preparations begin to strain the solid mass with a sieve covered by cheese cloth. 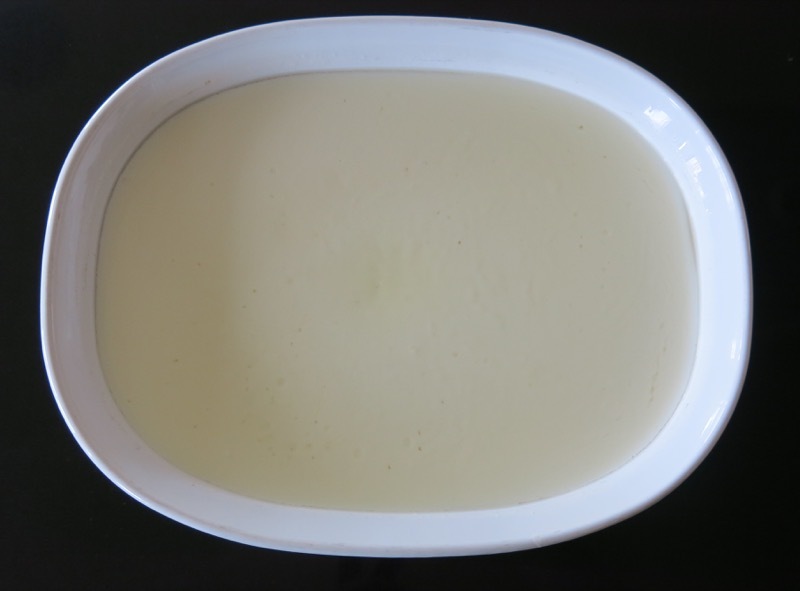 The curd is poured into the sieve, below. …is tied over the faucet and hung for about 90 minutes. Usually there is about a 600 gram yield after 90 minutes. I was out of the house and held up for a few hours, so my quark is much drier – which is always a choice – and more dense, gleaning only 500 grams of mass. Delicious, thick thick thick, creamy with a lovely delicate flavour not nearly as lively as yogurt cheese and not at all as rich as full fat cream cheese. What am I going to do with it? You know! I need to make more batches and try different recipes and ideas with it. I may invent something as famous as my yogurt cheese balls. Who knows? 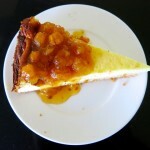 But this one is specifically for Matthias’s “Käsekuchen Mit Quark”! Give it a try. This is one “cheese” anyone can make. A really fun recipe to make with your kids at home, and then it will include a lesson in patience, too! Buttermilk is the milk left behind after making butter. 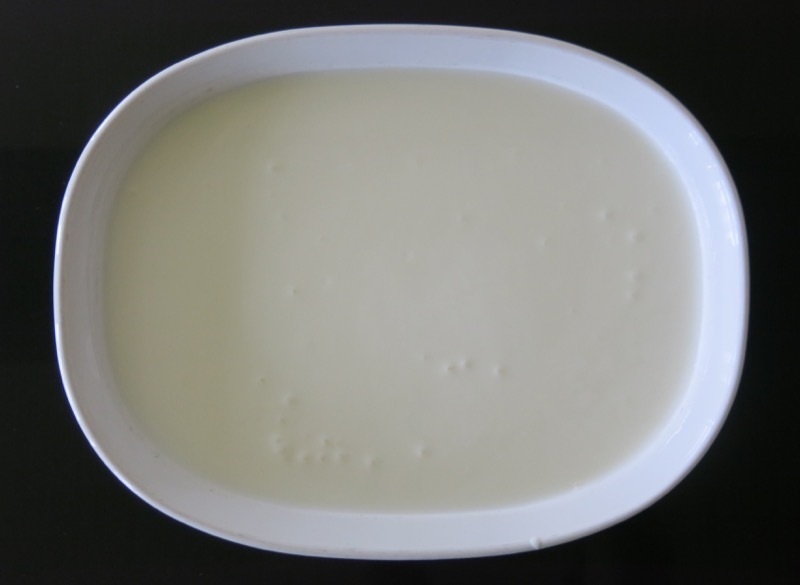 Quark is made with buttermilk.It is a very simple process. Two litres of buttermilk yields 500g quark. Looks awesome! And very easy to make. 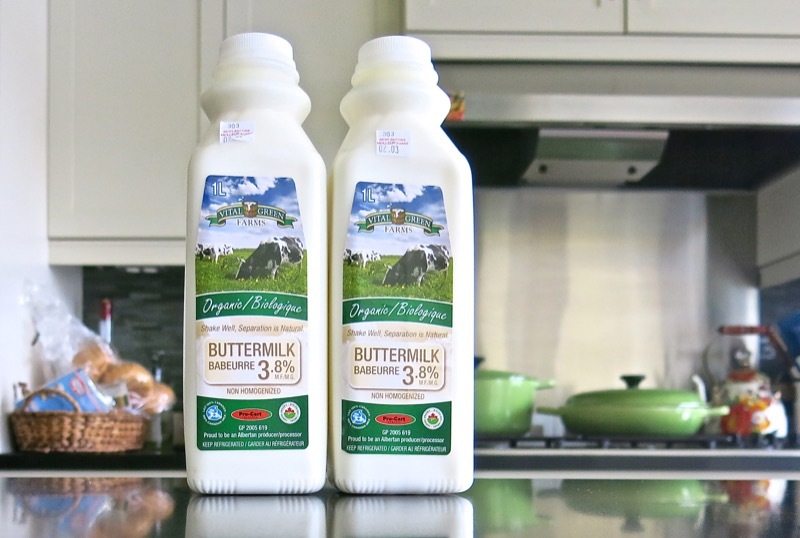 One thing though: the buttermilk bought in stores is cultured milk, not the liquid leftover from making butter. Deb – what a lifesaver! I can always depend upon you to teach me the most critical information. I have now done the research and included the correct buttermilk information in the post. 3.6% would be whole milk, yes? I don’t understand, when the product is being concentrated, how it goes from 3.6% butterfat, *down* to .1% in the quark??? And I, too, used to get completely confused about that thick buttermilk from the store: on the farm, buttermilk was the milk that was left in the churn after making butter! Totally different thing! (The Persians make a kind of cheesy/creme-fraiche substance by draining yogurt … mixed with various veg, herbs and even raisins, “borani.” And they make a cheese called “panir” by mixing yogurt and lemon or lime juice into boiling milk, and after a few minutes straining it just as you do with the quark. The basics are very similar: cultured dairy, heated, left to thicken, and drained … it’s fascinating how much of the world does the same things with, say, milk, but using different animals’ milk, different cultures, and heating techniques … to say nothing of the differences in what they make with it! BTW, I might be wrong but I think it was you looking for a recipe for Greek Zucchini fritters … might this be what you so enjoyed there? Gee – I wish I knew your first name fnord!!! I think this quark “could be” a bit higher in fat as I did use a full fat buttermilk. But, it is still extremely low in fat. The research I was able to find varied, but the information I included wasn’t quoted as many many studies had the same information. Look up my recipe for creme fraiche – I don’t use buttermilk. And, please send me yours, with buttermilk. I am not sure anything can be better than the recipe I use – but I always love to learn! 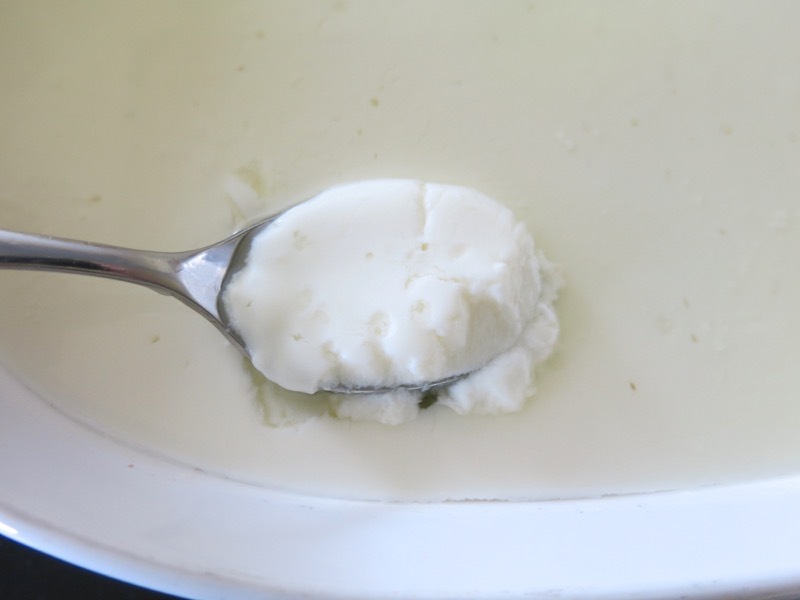 I also strain my yogurt and have a recipe on my site for what I call yogurt cheese and I have heard it commonly called Labne. My yogurt cheese balls are famous around these parts! You should definitely give them a go! (My husband just insists we never call them Lugonja Balls! ;0 ) I have also made panir – and it is on my site, too! I learned this from Bal Arneson and from so many of my Punjabi students. I enjoy it, but not so much as the other fresh cheeses. Totally agree with you about the fascination with raw milk and the myriad of fresh cheeses that can be made with them by simple use of temperature and time, or the addition of an acid. Incredible. It is like bread. There are 4 basic and simple ingredients: flour, water, salt and yeast. Yet, think of the thousands of kinds of bread the world over created with just these 4 simple ingredients. Then, think again of the same recipe, with these 4 simple ingredients made by different people. The result is never the same. Also, and BLESS YOU, I did read a lot of recipes, did a lot of research and developed a zucchini fritter recipe we just LOVE. It is also on my site – you must have missed that week. Thanks for this one. Will definitely take a look. Valerie, I went off to find your creme fraiche recipe (not because I’ll ever be able to make and can eat it, but because I’m curious) … and find it starts with … cream and *buttermilk* … but while I was there, I also checked out a number of other fresh cheese recipes, including ones starting with citric acid and a culture from down south … once I get the decks clear again, I intend to try some vegan cheeses … and those might come in handy. I erad somewhere that most citric acid, is produced from corn, so anyone with a severe corn allergy might want to take note. I found I can tolerate small amounts of sheep yogurt and at least one sheep cheese (as long as I leave a lo-ongg time in between indulgences: then then, that’s what an “indulgence” *is* … right??? And it occurs to me that in my grandparents’ childhood villages in Ukraine (one’s in Poland now!) they kept sheep. Probably cows, too, given that they all seemed to keep cows once on this continent. But it occurs to me likely that they used sauerkraut juice as an acidulator, as well … And I’m going to try some natural-vitamin-C-rich things, like kamu-camu, and acerola berry. When that time rolls around (not any time soon, to be sure!) I’ll let you know how it goes! Meanwhile, I clicked here and there on things-that-looked-pretty (I’m a sucker for Pretty Food — that’s how I came to be a fan!) and I clicked or things-that-sounded-interesting … and again I came upon that cherry pie filling/compote … and I’m thinking that if you can grow cherries in Edmonton, then I could, too, in Toronto!!! And I find that not only should they grow here, but they’re not demanding as to water, soil, etc. Eureka!!! 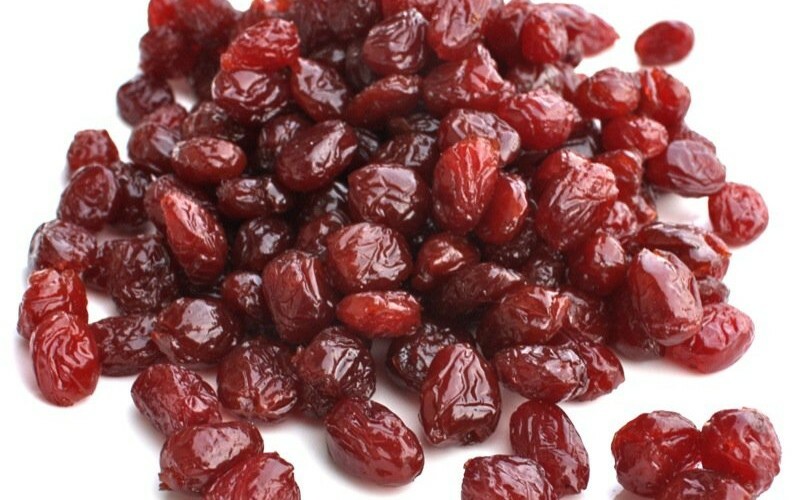 Sour cherries are apparently an awesome anti-inflammatory, as well. And I find I could fit a couple of trees into my yard, they’sd bear fruit within a few short eyars, and gosh darn it, if I didn’t also find a kind of hardware cloth that can be slung over the tree to keep the birds from pecking all the fruit. I wonder, though, if the birds are needed to keep bugs down. I’ll probably get to the home-grown cherries before the vegan cheese adventure. LOVE the idea of the sauerkraut juice – and I believe you are right on there! And you can absolutely grow sour cherries in Toronto. BC and maybe the Niagara Valley is the only climate in Canada for sweet cherries. I have an Evans Cherry Tree – created in Alberta. 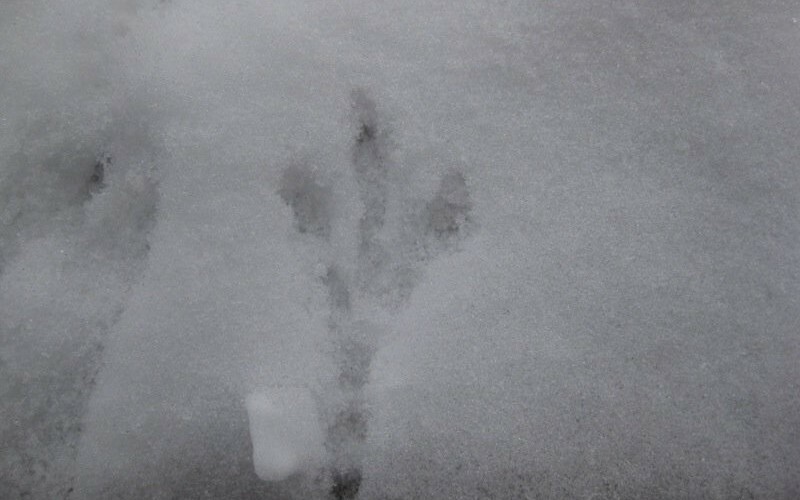 I have written a post about it, too. I have a massive amount of sour cherry recipes here (and Pinterest), due to my tree and love for them. Let me know how that goes! BTW – that Greek Website is FANTASTIC! Thank you!!! Valerie, always great to get the scoop on things, it turns the making of food into something so much more special. Is it possible to culture the quark for the same time as yogurt vs overnight. I only culture my yogurt for 5 hours for a less sour product. Could I do the same for the quark? Absolutely. two hours is enough! Let me know how it goes! Lovely to hear from you. It is so much fun to discover how incredibly easy some recipes, can be – no? Read all the comments here, too – as Cynthia has offered excellent tips on creating a cheaper buttermilk starter if you want to make it often. Valerie, again you share exactly what I was looking for. When I last looked for quark to make my Cherry Lime Cheesecake in the grocery store, I had to go to 3 stores before I found any. How much better to make it and have it ready when needed. Thanks so much for sharing this awesome and very simple recipe! It is so simple, Helene. You, as the Sour Cherry Queen, sill definitely love it! 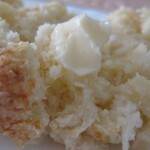 I am posting my Quark Cake recipe soon and look forward to hearing how it compares to yours. 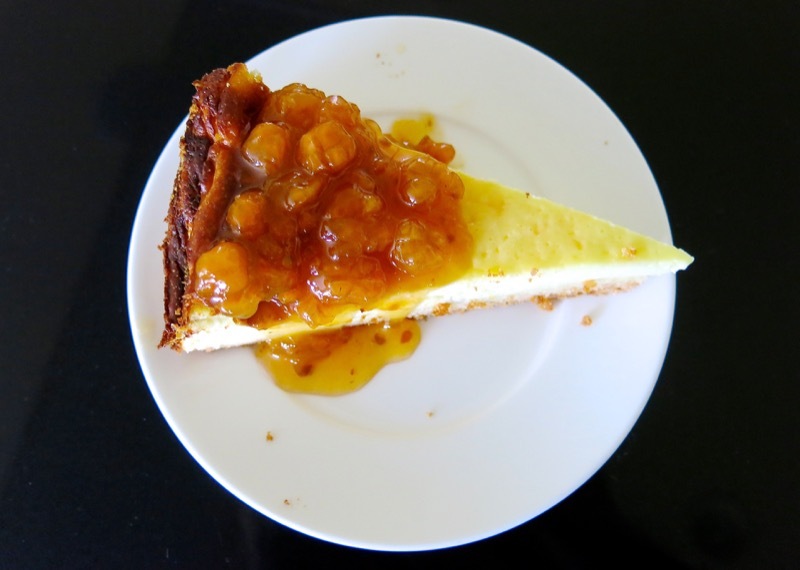 This is not my recipe, of course, but Matthias’s – and the filling is not sweet or heavy at all. 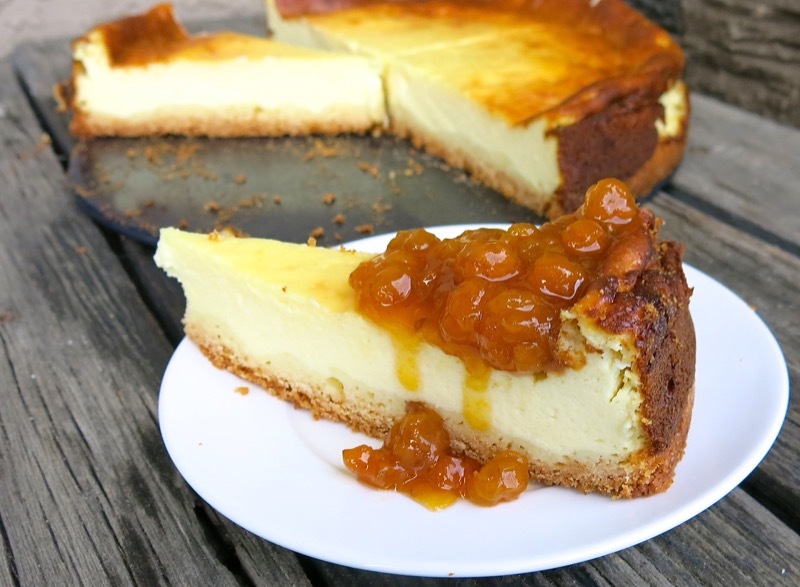 I love it as much as I love the traditional heavy thick and creamy New York Cheesecake, but they are two completely different beasts sharing the same name. 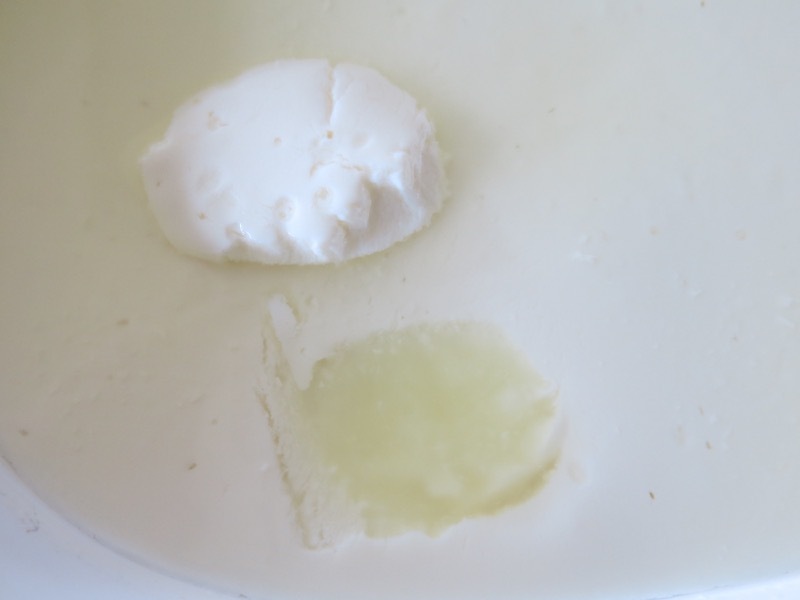 This is how I make quark as well, and I do drain it the longer time to make a denser cheese. 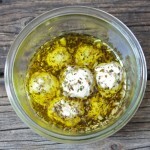 You can use it to make a copycat version of Boursin by mixing it 4:1 with butter, then adding garlic, salt and herbs. It comes out very close in texture and taste to the commercial version. Of course you do not have to buy cultured commercial buttermilk each time, if you plan ahead. Keep back some of the original store bought buttermilk by freezing it, then you can mix that with homogenized milk and leave at room temperature for 12-24 hours until it gets thick and tangy. Then you have a whole new batch of buttermilk to proceed with to make more quark! 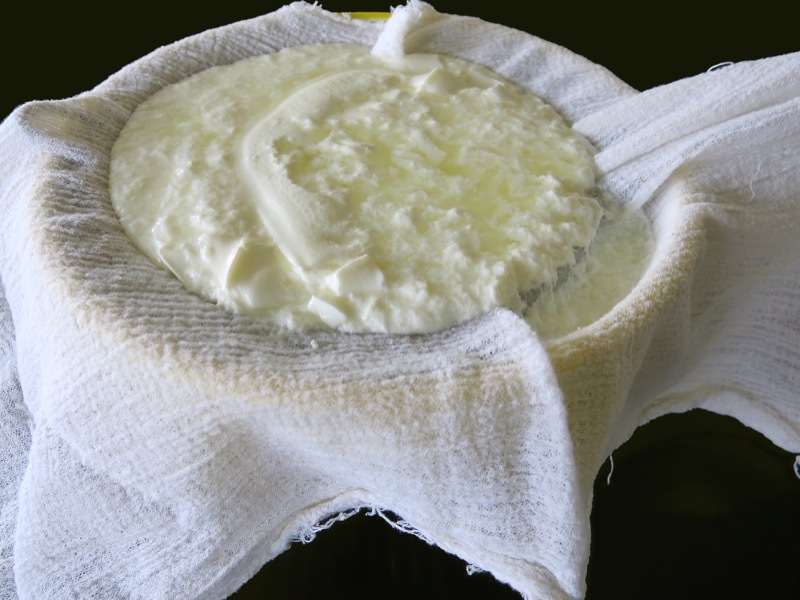 I belong to several cheesemaking groups on Facebook, and they have been very helpful. 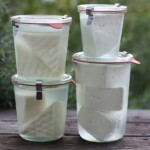 I have managed to make 30 minute fresh mozzarella, brined feta, and even a Parmesan that is aging… It is hard to wait! Wonderful to connect with you, Cynthia! 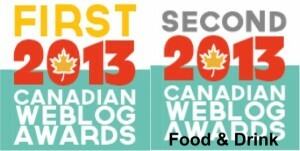 I had a couple years of intense “at-home” cheesemaking a couple of years back: Cheesepalooza (link here) – where some around the globe participated… but the project grew in Edmonton, and is still thriving, under another name now, and under the leadership of the most passionate Cheese Guru in our parts – just starting his new cheesemaking business next month, finally. Ian Treuer at Much To Do About Cheese is who I am talking about – and Winding Road Artisan Cheese is his new business locally. I really appreciate your advise about the Boursin and about making my own “cheaper” Quark starter. Hi! Great site! So glad to see quark making its way over the Atlantic. I’m a german living in Ohio and I grew up on quark. Other than using it as a cream cheese (in baking), sour cream (great in burritos), greek yogurt (as a dessert base) substitute its also great on bread with jam, or on toast with Nutella, or my favorite on top of pate/liverwurst on good bread. Also aids in digestion a bit with the liverwurst. All the best, I look forward to reading more recipes. Really? Aids digestion with liverwurst? My dad loved liverwurst and my comical replay (warmly) would be that you would have to eat something to aid your digestion if you were going to eat liverwurst. 🙂 Do you make your own Quark, or did you as a child? 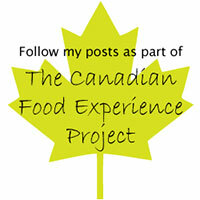 Would love to hear more about your favourite home food. Hi! My dad was prescribed the quark by his doctor 40 years ago essentialy as a probiotic since it is a cultured product. Nowadays, I do make my own. I make it fresh once a week, 2 quarts at a time. Its so versatile. Used it as dessert last week. Just shredded apple, lemon zest, and a bit of sweetener and you have a quick delicious dessert. And tonight I made sweet potato and roasted red pepper gnocchi and used it instead of ricotta. That is amazing to hear a doctor “prescribed” it. Love that! and YUM!!! This looks fantastic and totally accessible. 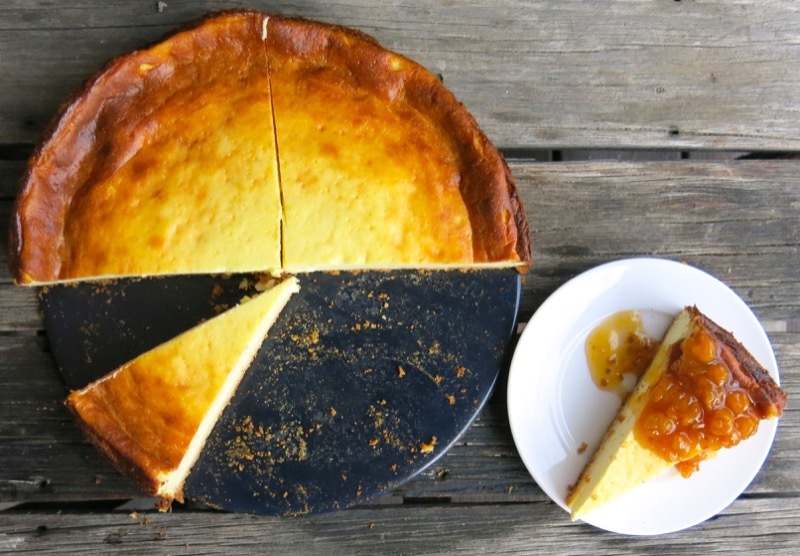 Could you post a link to the cheesecake recipe? Thanks! Shame on me, Aleksandra! I thought I had posted the link to the cheesecake. It is there now. For future, let me know if the link is missing, but if you are in a rush, just go to the search window in the sidebar to the right and type in what you are looking for, and you can also go to the recipe category. 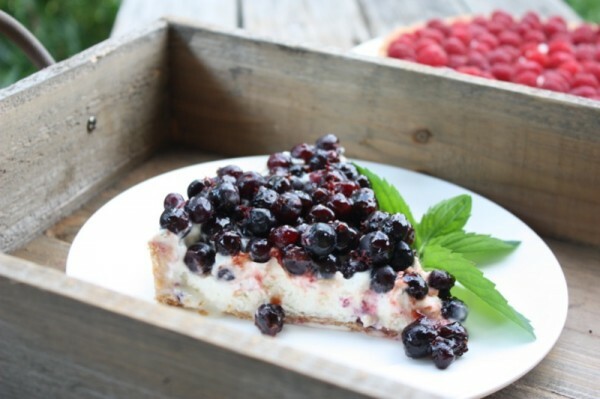 In any case, it is delicious and there now with a topping I also made from berries I bought in Newfoundland Canada and made into a jam when I came home. I just discovered the wonders of store-bought Quark a couple of weeks ago, and cannot wait to make my own! I have been making my own yogurt for several years and was wondering if quark could be made into yogurt maker? I have one that is set at 110°. After the incubation period, which I can set, is finished the device will automatically start chilling the finished product. I also have a Fagor multicooker which is everything from the crockpot, to a rice cooker, to a pressure cooker, to a yogurt maker. 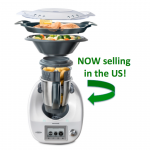 Extremely cool device but I have no idea what the yogurt making temperature is. Thanks for your time! After setting the buttermilk in the oven overnight, it must be hung, to dispel the curd from the whey. Yogurt doesn’t need to be hung unless making yogurt cheese, so I don’t think individual containers will work. I don’t know about the other device. I suggest you do it this way first, and then you will have a better idea. Neither of my yogurt makers use individual serving sized containers. They both have a big container for all of the liquid to go into. (One is 50 oz, and the other a whopping 8 qts!) Do you think quark would still be the end result of I used the smaller machine that is factory set to a temp of 110°? I can set the fermentation time for as long as 24 hours. Hi Kathy – the temp is to be at 175 F, not 110 for 2 hours – the turn off heat and leave in oven overnight (will appear like yogurt) but with liquid on top and around sides… needs to be hung to draw out the whey. I think you need to make it as the recipe says and THEN experiment with your cool equipment… once you know what you are looking for, you will know if it is working. Super! I’ll give it a shot tonight! So delicious and amazingly simple to make! I have a really good friend that is a dietitian and works with a hospital sponsored weight-loss facility. I can’t wait to tell her about this because it is so easy to make, you don’t need specialized equipment, and it’s higher in protein then Greek yogurt for about the same number of calories. What a boon for people that are trying to lose weight in a healthy manner because they can get an excellent source of protein with so few calories! Thanks for all of your help! Thrilled to hear this, Kathy! 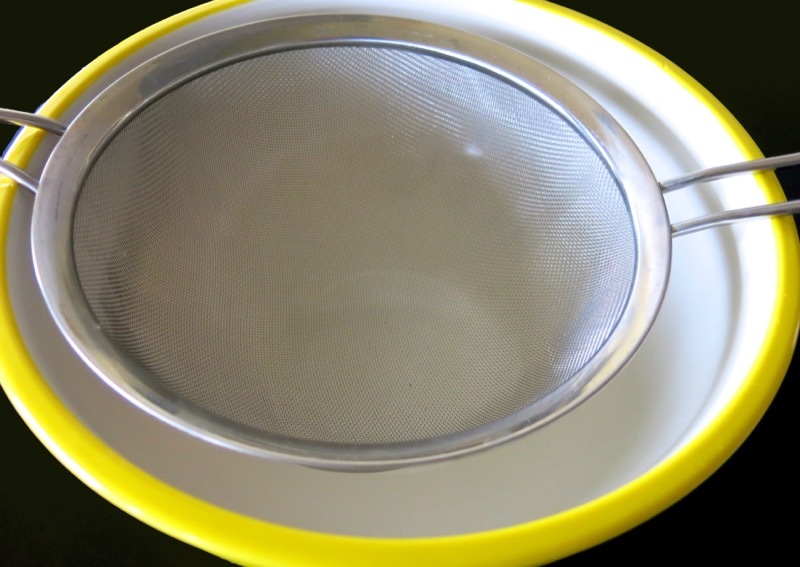 Kathy, did you have any success using your pressure cooker machine? i have an Instant pot and making yogurt is a breeze in it.. I wanted to try making Quark. Hi! Once the quark is made, how long does it last and how should it be stored? Thank you. I sure hope I answered you privately, Lesley. Sorry for the late response here! Two weeks in about standard. Might last 3-4 weeks, depending upon the container seal, etc. So glad I stumbled across this. Our local grocery stores have stopped carrying Quark and even when it was available it was quite pricey. My wife has been missing my quark pancakes. Combine Quark, egg yolks and vanilla. Fold it all together until just mixed. I will definitely try these. 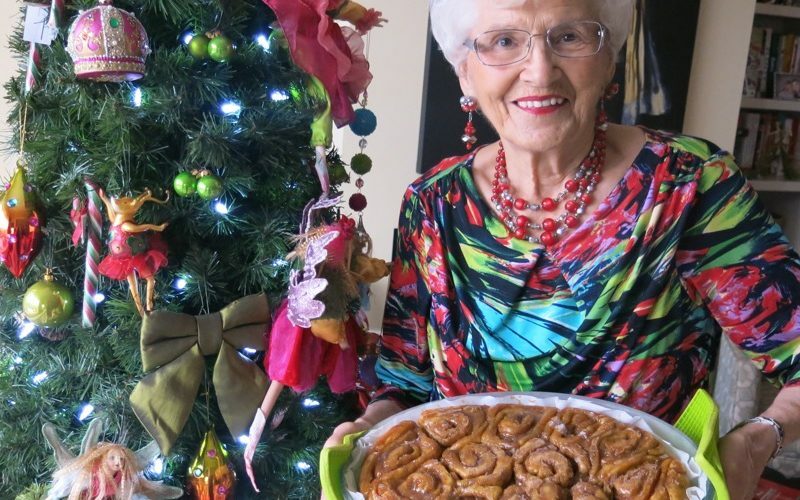 I am away from home right now, but thank you SO much for sharing the recipe! It looks delicious! First attempt at making Quark was very successful. Thanks so much for providing the recipe and the comments section. Being experimental I looked up a few other approaches and decided to combine approaches. I use 4 l skim milk, 2 l cultured buttermilk and 2 l kefir (to make sure there were lots of bacteria). I heat the milk to 29 degrees C and then set the pot in my oven which I heated to the lowest setting and then let cool to 30 degrees C. Also placed 4 l of water at 35 degrees C in an oven proof dish and put that in the oven. Left it in the oven for 12 hours. The oven temperature had dropped to 24 degrees C. Took the pot out of the oven to let it sit overnight at room temperature (21 degrees C). Currently letting it drain. The texture seem nice and fine and the taste is maybe a bit more sour than what we used to buy. This is a good thing since my wife likes her Quark Pancakes to have a distinct sour flavour. Thank you, Ulli, for sharing your success and the research that went into it! Greatly appreciated! So that is what I did… Following your instructions to the “t” for all else, everything turned out as much as I believed it should and the taste was very good. The only difference was that I needed to let the Quark hang in cheesecloth for 12 hours before it got anywhere close to the right consistency. That said, it probably could have used more time hanging as it was just at a yogurt type texture. 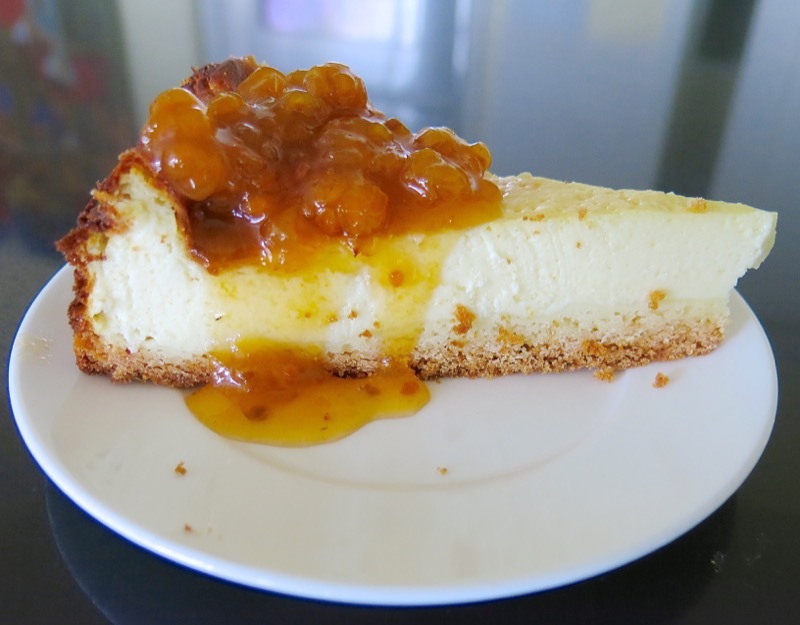 In any case, we used the Quark I made in my mom’s German Cheese Cake recipe (lessening the amount of milk in her recipe by 200ml to compensate for the runnier Quark) and the cake turned out perfect! I wish I could post a picture of it here. In any case, thank you very much for the experience! I look very forward to hearing back from you. I think you should try to use your buttermilk without the cream else and see what happens, as well. Thank you for chiming in. You made my day! Interesting idea… I will do that as well and let you know of my findings. So you’re suggesting that the % of MF content hasn’t any bearing on the Quark mixture? Very interesting, Chris. Thanks! What was the price difference between homemade and Liberté – and the nutritional difference on the package of the purchased brand? Dense is good for me with Cheese Cake. You? As to the price difference, I believe that the Liberté Quark was about $4.69/ea for a 375g tub. I needed two for my recipe. So the total was $9.38. It cost me $5.98 for the 2 x 1lt 1% MF Buttermilk. The Cheesecloth was about $4.00. 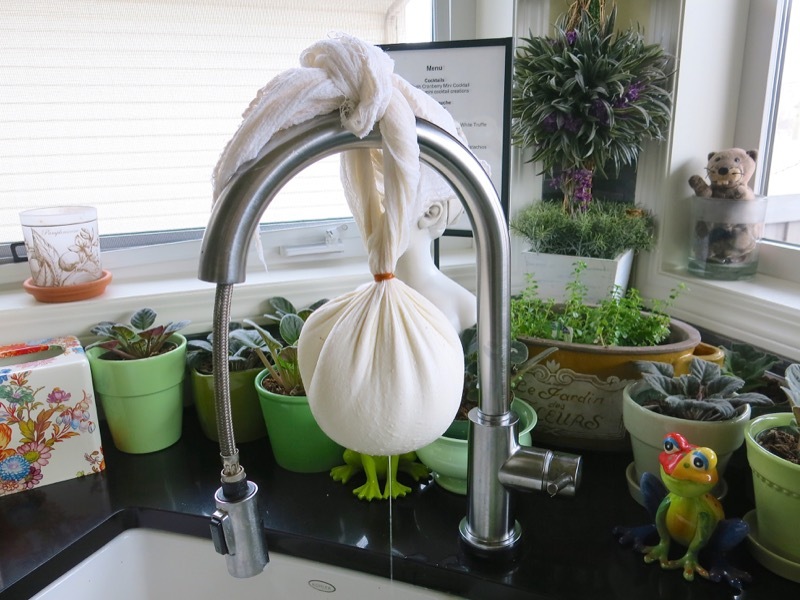 But… I got enough cheesecloth for two more uses. So I really only used about $1.33 worth. That said, it cost me $5.98 + $1.33 ($7.31, plus the cost of electricity to heat the oven). Obviously, the price is pretty much the same (about $2.00 cheaper for homemade). But for those who enjoy making their own, you cannot put a price against that. And for those who cannot buy it, well… Now they will know how to get it anyways! That said, I am making my own Quark again tonight… As you suggested, this time with just the 1% Buttermilk. I’ll let you know how it goes! I’ve completed my Quark using the 2 x 1l 1% MF Buttermilk and this time it turned out exactly like yours (after hanging for 3 hours). I liked the thicker texture… That is why I waited that long. I didn’t have a chance to make my cake today (we had one of our granddaughters over for the night and she was down at 8:00pm), so I’ll have to get at it tomorrow! Yup, I made another one today… With homemade quark (which came to 591g worth this time around). It turned out perfect! Great feedback!! WOW! Thank you! I made another Homemade Quark, this time with Neilson brand buttermilk (1% MF) and it yielded 610g worth. Turned out perfect again! Looks like we’re onto something, Chris! WONDERFFUL! Does 1% Milkfat Buttermilk work? Couldn’t find anything else. Absolutely – read the notes! Let me know how it goes! So I did it and it worked great. Great taste and texture ,however, it doesn’t taste like German quark that I grew up with. I haven’t tried it in a cheese cake yet so I’ll see how that will turn out. Let me know why it is different. I’m still intending to make it in the future because it is still very good for desserts etc. The cake turned out fantastic. Thanks. Now that is great to hear, Connie! I struggled to find whole buttermilk but managed two find the highest rated available in my area. The quark was easy to make and turned out delicious. A few days later I did manage to find quark on the shelf at Whole Foods. A side-by-side taste test confirmed by others that the homemade version was far superior in texture and taste. Wonderful news, Tom! If you read your way down the comments – you will find that you can make the quark with “regular” buttermilk, too. I do imagine the whole buttermilk would have the best flavour. Thank you so much for chiming in! I made the quark with 1% buttermilk. After separating the whey, I added a probiotic capsule and mixed into the curd. 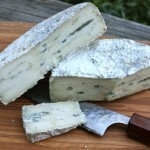 Left it for 8 hours hanging and it turned out the consistency of a soft cheese…yummo! Sounds incredible, Michelle! Good for you and thank you for sharing! I bought Quark cheese as I wanted to know how it is different from Greek Yoghurt in a Coop store in Canada. I found it is very similar to what we term as ‘chakka’ (ch-child)or strained yoghurt for making ‘shrikhand’ the Indian sweet found in Maharashtra and Gujarath. 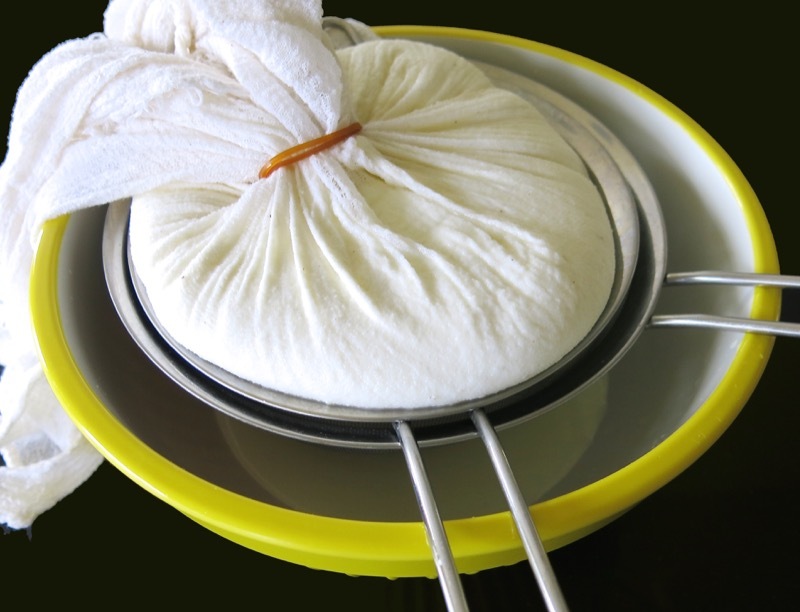 The process you said above of straining the yoghurt we do for overnight or a day and the residue is called ‘chakka’. Just smoothen it, add saffron, sugar, cardamom powder, a pinch of salt and if you want dry fruits and a desert for festivities and celebration is ready. I missed buying ‘chakka’ here so did myself or used ‘Greek Yoghurt’ or ‘Labneh’ from any Lebanese Arabic stores. What you mentioned above about waiting for thick cream milk yet exists in India and I get amused when my relatives question the milkman if he adds water if milk does give thick cream after boiling(:)). The milk is always boiled and the earlier day milk is kept aside for making yoghurt. We make yoghurt by adding 1 spoon of leftover yoghurt to warm but not hot milk which makes good thick yoghurt next day. 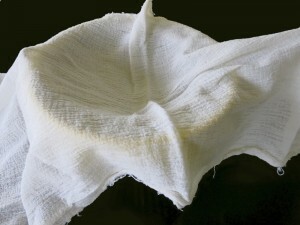 The yoghurt is then hung in Muslin cloth and left for a day. The thick yoghurt you get we called ‘chakka’ the base for making many sweet dishes or the famous ‘shrikhand’. The ‘Quark cheese’ tastes like ‘chakka’ however, your process is a bit diggerent. Thank you so much for chiming in with such detail. I am so interested in how various cultures and people make their food at home! That is so very interesting. I am currently visiting the former Yugoslavia and the milk products here are similar in some way and vastly different in others. You cannot get heavy cream anywhere. You can get a sweet thickened cream, but not a soured thickened cream. You can only get yogurt to drink, not to eat from a spoon and nothing close to labneh. I also make my own yogurt and have made many fresh and homemade cheeses (you can find them all under the menu bar). Many fresh kinds of cheese taste so similar from country to country and the processes can be very similar, but somewhat different. Taste is so similar but somewhat different. Just like breads. I find it all so fascinating. THANK YOU!